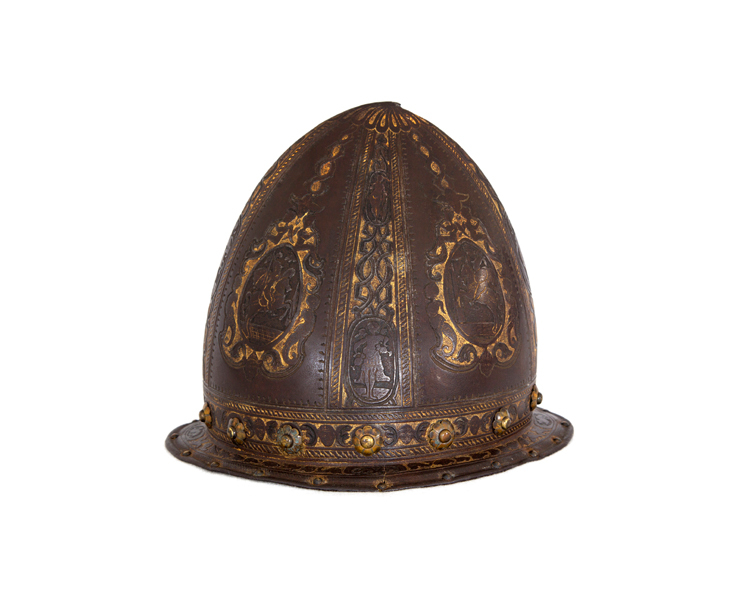 Finely formed an decorated helmet attributed to Pompeo della Cesa the distinguished late 16th century armorer (recorded 1571 - 93), who had his workshop in the Castello Sforzesco, Milano. 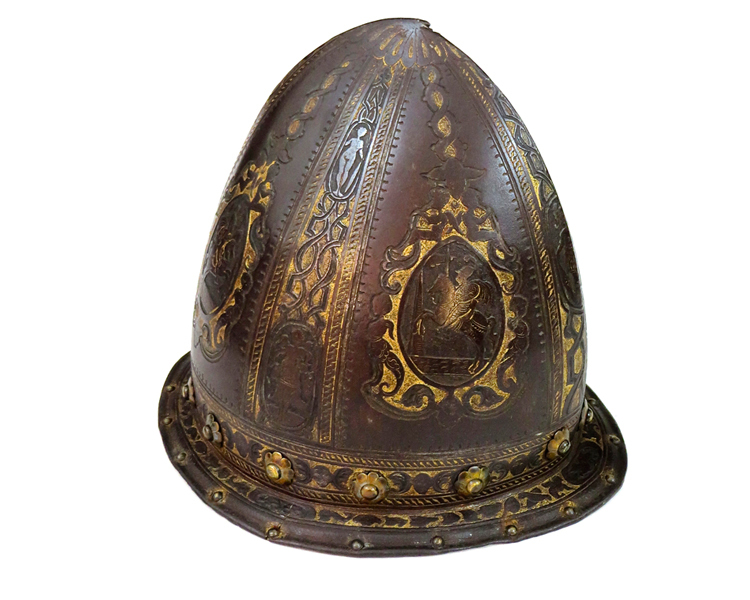 One piece skull with integral brim, russet surface finely etched, stippled background retaining much of the original gilding. 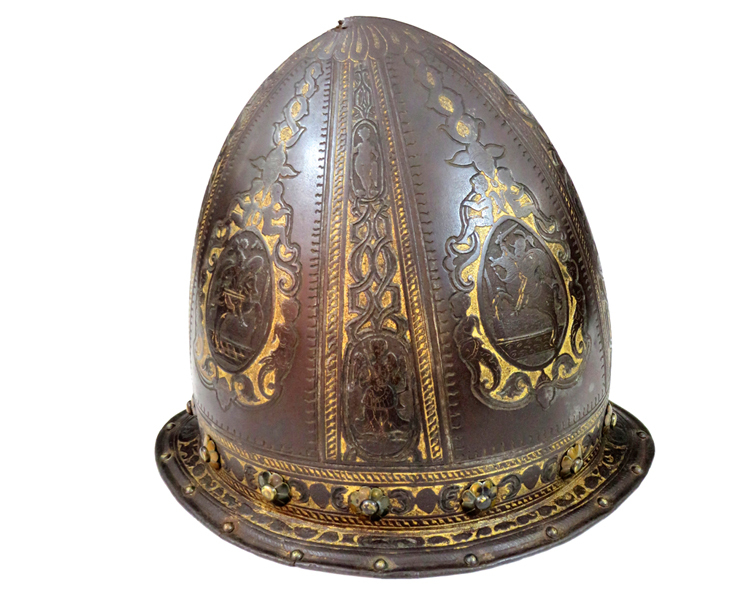 Base of the crown with brass round-headed rivets and brass rosette washers.